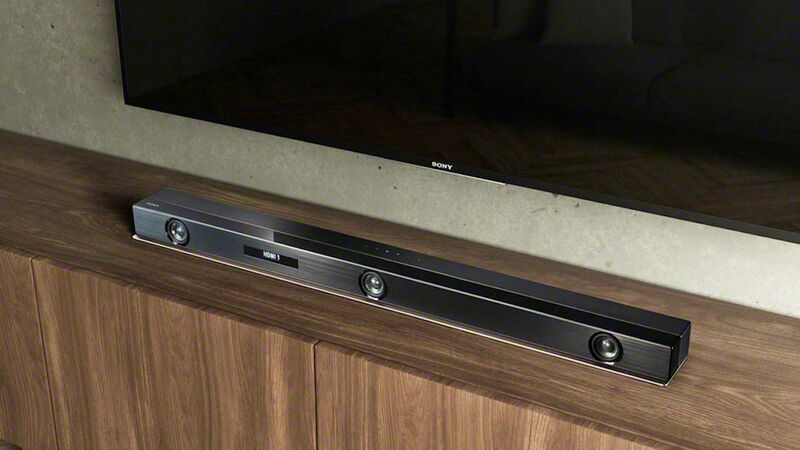 Sony showed off the Sony HT-Z9F Sound Bar at CES this year.This sound bar promises total immersion, with exceptional realism, which is exactly what we want in a sound bar. We want to become a part of the movie we are watching and audio is a big part of that. This 3.1ch Dolby Atmos/DTS:X soundbar still has the great horizontal sound engine from previous models, but Sony has added the new Vertical Surround Engine in a soundbar that will fit perfectly in your home. The horizontal engine delivers that virtual sound you already know, while the vertical engine will deliver still richer sounds. Think height, like rain falling, maybe an explosion from up high. This is accomplished with two front speakers facing up. Everything you watch will be in maximum 7.1.2ch sound thanks to digital signal processing that converts any audio to immersive surround with just the click of a button on the remote. The HT-Z9F will be compatible with optional wireless surround speakers, just in case you want to give the rear channels of your home theater a little extra power. You can never have too many speakers right? It also works with Google Home. The HT-Z9F will available this spring with a retail price of $899.99.